Poppy is a really sweet 3 year old Jack Russell type crossbreed. She is really friendly and fussy with everyone she meets, and can live with children over 8. 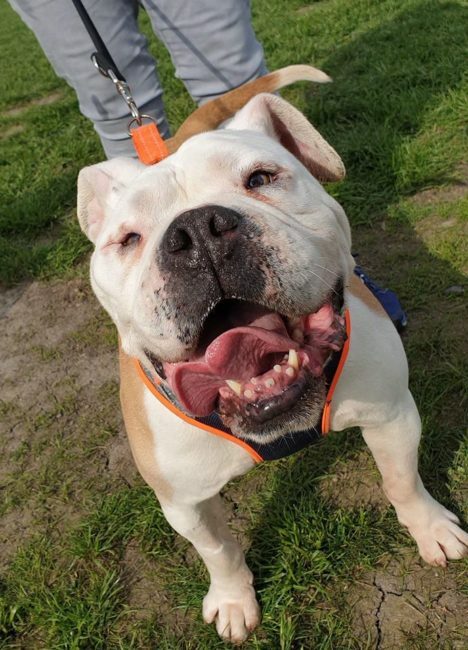 Poppy has also lived with another dog, but has had to come into our care after 1 altercation with the other dog she was living with. She has been good with all other dogs she’s met out on walks but may be happiest living as the only dog so she gets all the attention to herself! She is a typical terrier who doesn’t like cats! Poppy is housetrained and fine to be left for a few hours, but she will go to the toilet in the house if left for too long. She travels well and really enjoys her walks. 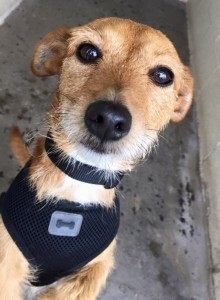 She is a very fit little dog who needs an active home where she will get plenty of exercise.